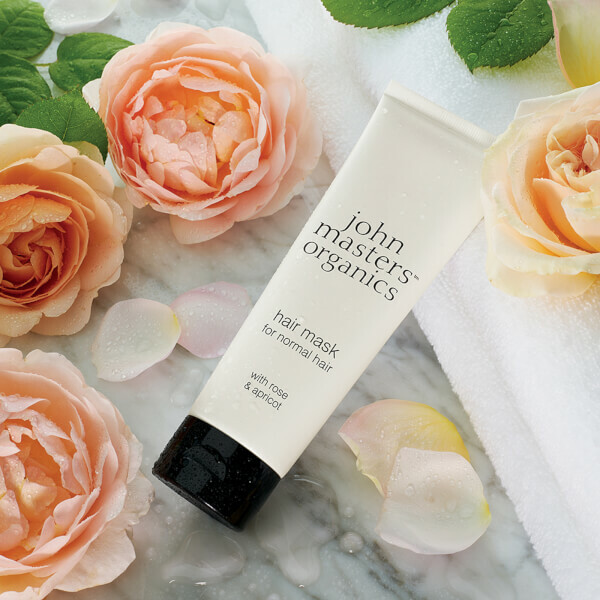 Treat your hair to the replenishing properties of John Masters Organics Hair Mask, a multi-tasking hair treatment that works to maintain shiny, lustrous locks and a healthy-feeling scalp in less than five minutes. Ideal for normal hair, the rich and silky hair mask delivers a multitude of benefits, including balancing moisture levels, tackling split ends and cleansing the scalp. 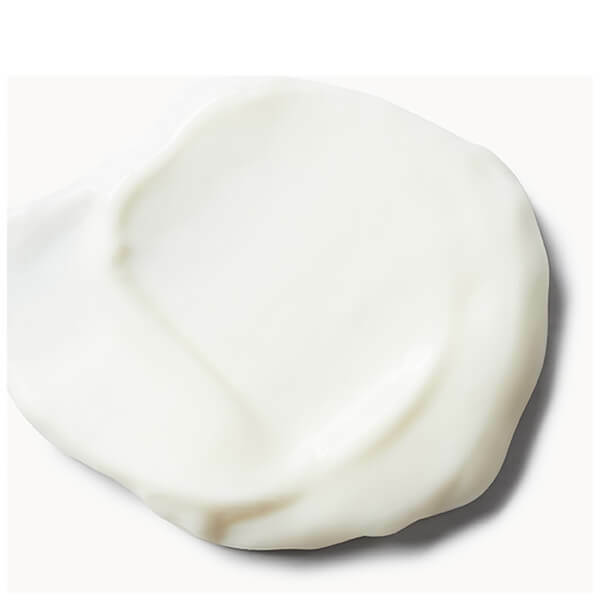 Formulated with Organic Rose Water to help replenish lost moisture, Organic Apricot Kernel Oil for its antioxidant and vitamin-rich properties, and moisturising Avocado Butter. 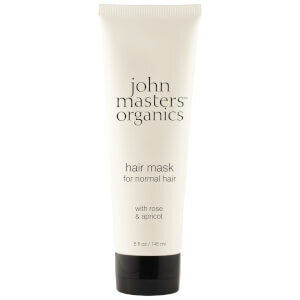 Leaves hair looking healthy and glossy while preventing and repairing the look of split ends for frizz-free locks. 70% or more organic content. Rosa Damascena (Rose) Flower Water*, Aloe Barbadensis (Aloe Vera) Leaf Juice*, Glycerin*, Behentrimonium Chloride, Cetearyl Alcohol, Cetyl Esters, Prunus Armeniaca (Apricot) Kernel Oil*, Persea Gratissima (Avocado) Butter, Equisetum Arvense (Horsetail) Extract*, Chondrus Crispus (Irish Moss) Extract*, Hydrolyzed Wheat Protein, Chenopodium (Quinoa) Seed Extract*, Leuconostoc/Radish Root Ferment Filtrate, Lactobacillus, Cocos Nucifera (Coconut) Fruit Extract, Guar Hydroxypropyltrimonium Chloride, Pelargonium Graveolens (Geranium) Leaf Oil*, Anthemis Nobilis (Chamomile) Flower Oil*, Citrus Sinensis (Sweet Orange) Oil*, Sodium PCA, Sodium Lactate, Arginine, Aspartic Acid, PCA, Glycine, Alanine, Serine, Valine, Proline, Threonine, Isoleucine, Histidine, Phenylalanine, Citronellol†, Linalool†, Geraniol†, Citral†, Limonene†. *Organic ingredient. †A natural component of essential oils.